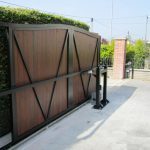 Although electric gates are a great way to keep your family safe and secure, it is worth noting that poorly fitted or maintained electric gates can cause accidents. Following a week in 2010 when, sadly, two young children were crushed by sliding gates in separate incidents, the Royal Society for the Prevention of Accidents (RoSPA) issued a set of guidelines on electric gate safety. Electric gate accidents are now few and far between, but it is worth noting the importance of correct and experienced fitting, quality components and sound safety advice. Many of the issues with electric gate safety can be dealt with at the design stage. There are certain hazards that can be avoided, including: gaps around hinges and mechanisms that present the risk of crushing, installation on slopes that might allow a gate to move out of control, and incorrect railing gap sizes. Non-contact sensors, such as light sensitive beams, are generally designed to stop electric gates from closing on vehicles and may, if only a single beam is used, be possible to step over. RoSPA recommend that they are used in combination with contact devices, such as safety edges, which will stop a gate when it comes into contact with an obstacle. Non-contact sensors should always be fitted to the public side of a gate and preferably used as pairs, at different heights. Another way of ensuring safety is the use of a hold-to-run system, where a button or switch has to be held down for the gate to move. At the very minimum your gate should be clearly marked with warning signs on both sides. Warning lights are also effective, especially those that rotate or use a strobe. If your electric gate is not too near to your home or neighbours’, you might also want to consider a buzzer or bell alarm that will warn users when the gates start to move. As with all mechanical devices, correct maintenance of all parts is the only way to ensure that your electric gates stay safe. While some maintenance tasks such as lubrication and cleaning can be undertaken by you, other maintenance should only be undertaken by experienced professionals. This includes dealing with insect debris that might affect photocells, checking and replacing batteries, replacing worn parts, checking electric cabling and testing circuit boards. A risk assessment doesn’t need to take too much time but, if done carefully, can help eliminate any potential safety issues. Simply record possible risks, for example, finger crushing, and ensure that steps have been taken to mitigate these. Your fitter should be happy to help you with this. Once you have completed your risk assessment, you will feel better informed about how your electric gate works and be in a better place to explain safety features to your family. While accidents with electric gates are rare, it is clear that the peace of mind you get from ensuring your new gates are safe far outweighs the risks. For more information about the safe installation of electric gates to suit your particular property, contact TPS Electric Gates today. 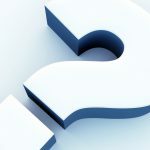 Our experienced staff will be happy to answer your questions on safety, maintenance or any other electric gate related topic. At TPS, we have been safely installing electric gates for both commercial and residential properties for over twenty years, and we looking forward to giving you the benefit of our experience.